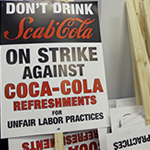 More than 225 Coca-Cola Refreshments workers represented by Teamsters Local 727 voted Sunday, November 29 to authorize an unfair labor practice strike against the beverage industry behemoth. 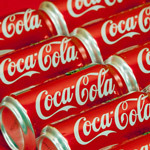 Teamsters Local 727 on Tuesday filed numerous unfair labor practice charges against Coca-Cola Refreshments, a subsidiary of Coca-Cola (NYSE: KO), that include bargaining in bad faith, intimidation of workers with baseball bats and unilaterally changing contract terms and working conditions. Despite agreeing to a 10 a.m. start time on Friday, Nov. 20, Coca-Cola representatives finally sat down at the bargaining table after 2 p.m. for what was originally the final day of new contract negotiations.